Selected response or constructed response? 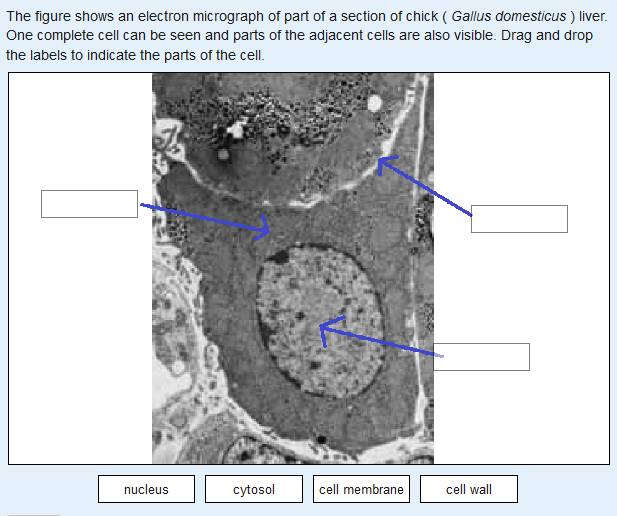 I have had an interesting debate with colleagues about whether questions in which you have to drag one or more markers to appropriate places on an image (see example below) are selected response or constructed response questions. I am of the opinion that this is a constructed response question, because students are not given clues as to where the markers should go. It is fundamentally different to the question below (‘drag and drop onto image’) which is selected response because there are only a number of places where the labels can go. However, during this debate, my colleague pointed out that the boundaries between constructed and selected response question types are not that clear cut. In a sense the top image is selected response because there are a finite number of pixels in the image. Similarly if you ask a numerical question in which you want an answer that’s in integer between 1 and 9, there are actually only 9 options available to you. For what it’s worth, I still think both of these are constructed response questions, but the debate is an interesting one. This entry was posted in constructed response, selected response and tagged constructed response, selected response. Bookmark the permalink. 3 Responses to Selected response or constructed response? I will admit that I was the other person in the debate. I had not given the matter sufficient though. I was giving a presentation about constructed response questions at the Dublin MoodleMoot last week, and I needed to quickly explain what I mean by constructed and selected response to set the scene. I did not intend to open Pandora’s box. Anyway, the ‘question’ posed in the last paragraph is definitely constructed response. The form of the question does not give you any possible clues about correct answers. Similarly. 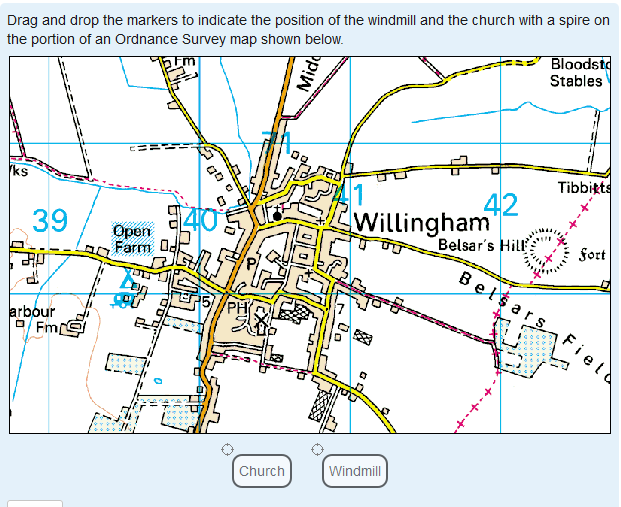 the OS map question above does not give you anything beyond what you would have if you were tramping across the fields in the rain with a paper map, so it is also constructed response. So, that is my definition: It is selected response question if the form in which the answer is given significantly narrows the range of possible responses. This is not a matter of question type. For example, a drag-and-drop markers question into a map like http://www.mapsofworld.com/united-kingdom/regions/ to label the countries is selected response, even though other drag-and-drop markers questions are constructed response. The one probably with my definition is that it might make some things we might think of as selected response into constructed response. How should we classify: “Highlight the nouns in this sentence”? What about the question: “Classify these words into grammatical type: …” – without specifying what the categories are? Actually, that is probably just a bad, ambiguous question. The available categories of words depend on how much of a grammar geek you are. Which of the following are disadvantages of selected response questions? * There is a significant chance that a guessed response will be correct. * Seeing a particular given answer may prompt the students memory to recall that it is correct. * With a limited set of possible responses, it is easier to verify that the grading rules are correct. * In some subjects, it is easier to verify that a given solution is correct, than to derive the solution from the question. This is a very different cognitive task. For each of the statements given, you have to decide whether it is a disadvantage. Much easier than thinking up disadvantages on your own. It is that difference in the nature of the task that is the real difference between selected and constructed response for me. Thanks for your thoughtful response Tim – I didn’t want to open a Pandora’s box either, but I do think this is a very interesting issue. I agree with you that, fundamentally, it is the ‘difference in the nature of the task that is the real difference between selected and constructed response’.